BRACELET - SARAH COVENTRY. "HEARTS AND FLOWERS" FROM THE 1956 TWIX & TWEEN (YOUNG) LINE BY SARAH COVENTRY. 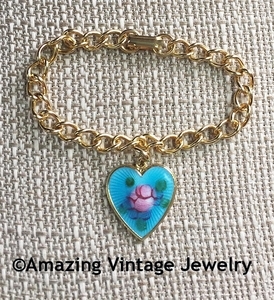 GOLDTONE WITH ROSE DESIGN ON BLUE ENAMEL HEART. HEART CHARM IS ALMOST 1" LONG WITH THE BAIL. 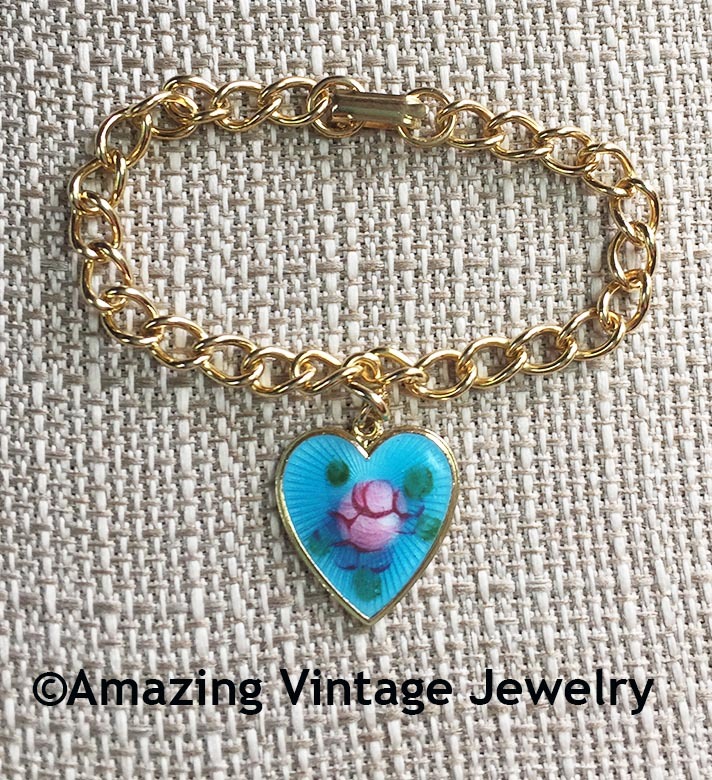 BRACELET IS 6 1/2" LONG. EXCELLENT CONDITION.